City law firms tend to be thought of as the sort of places where young lawyers are seduced into selling their souls in exchange for a small slice of the high life. The kind of place where you can get large profits and adrenaline hits for defending transnational firms who need to avoid taxes. The kind of firm which is the occasional attack dog of the large scale polluters and the oligarchs. This is perhaps the Harvey Specter version of reality [the lead character and senior Manhattan lawyer in the US television series Suits]. At Bates Wells, we’ve taken a slightly different tack. From the outset, we worked for a combination of activists, charities, philanthropists and business folk – many of whom were pretty enlightened. 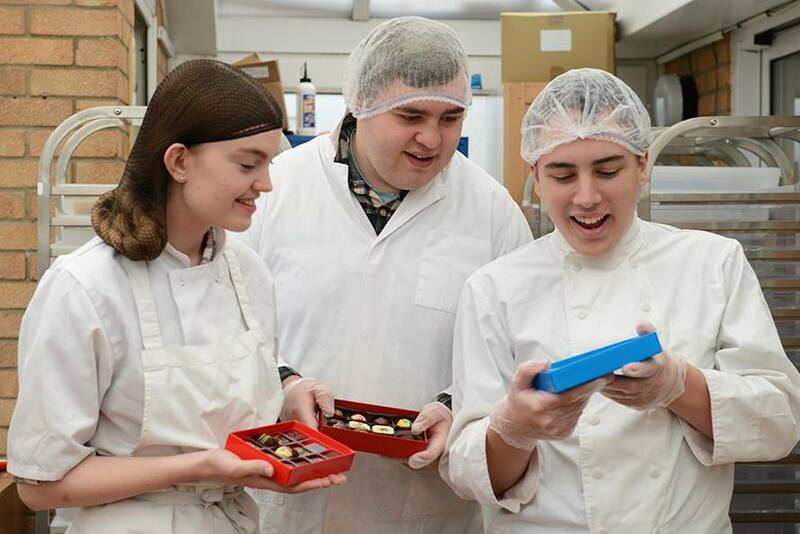 Life for most of our clients is probably therefore a bit closer to Harry Specters’ experience of reality [the luxury social enterprise chocolates that create employment for young people with autism]. And yet within our client base there is incredible diversity, with clients engaged in all sorts of business, some of whom are not always the most obvious of bedfellows. For many years, there has been a running internal joke that at some point the firm would collapse under the weight of its own contradictions, or perhaps to be more precise, the contradictions in the aims and viewpoints of its clients. When I was a junior lawyer and relatively new to the firm, I used to think our biggest risk was a ‘cultural risk’. That somehow over time and with changes in leadership we would lose the sine qua non of the firm – that intangible essence, quality or spirit that made us tick and work a wee bit differently. There was the occasional half-hearted suggestion that the firm should be restructured as a social enterprise – something the senior partners who had spent their lives building the firm would generally brush off as the fantasies of youth. That was probably always a step too far for us in a competitive market where professional services firms compete for talent. And yet, when the B Corp movement came along, we spotted a fit and it proved a neat way to cement once for all the social mission which is part and parcel of life at the firm and how we approach our work. Now, we are seeing a new kind of economy emerging, in which this kind of search for positive social impact is a key driver of economic activity more widely. We think of this broad-based phenomenon as the ‘Impact Economy’. It is multi-faceted and multi-dimensional. Some of the largest multinationals are committed to hugely ambitious programmes with the aim of going carbon neutral in very short time frames. Wave after wave of promising entrepreneurs are on a mission to tackle some of our greatest social challenges, using business as a force for good. Established businesses are doubling down on values, embedding purpose and locking in mission. Investors are seeking impact across a range of asset classes. The signs of this new kind of economy are coming from every angle and it is bubbling up in all corners of our client base, whether that be boutique sustainability hotels needing specialist real estate advice on the one hand or progressive manufacturing firms who need employment advice when empowering their employees with shares and ownership interests. We think there is a movement, or perhaps even a movement of movements, afoot. And it has the potential to affect the whole economic system. In fact, as a firm, we are banking on it by investing our resources in uniting our different disciplines and practice areas around this emerging impact economy. It is at the front and centre of our strategy. We want to be as well known for the impact economy in ten years’ time, as we are for charity and social enterprise now. This means increasing the literacy of all our people on the big social and sustainability issues of our day, cultivating our expertise in the issues impact economy clients care about and figuring out how to advise in all our areas of practice in a way that puts impact at the heart of our advice, alongside other key factors like what the law says, economics, control, risk and reputational issues. We very much doubt that we’ll be the only professional services firm to bet big on the impact economy. Over time, I expect that we will see a revolution in professional services, as all kinds of advisers realise that they need to see things in a new dimension if they are to enable their clients to meet their impact goals. The recent report of the Intergovernmental Panel on Climate Change adds urgency to the picture, with radical policymaking increasingly being demanded and the scale of the transition needed to get to net zero quickly starting to dawn for all economic actors. Technology is also playing a bit part in this trend towards positive social impact as a source of purpose and comparative advantage for companies, with new companies which are less wedded to old orthodoxies scaling quickly and replacing old incumbents. In truth, the impact economy is in the blood at Bates Wells. Andrew Philips, later Lord Philips of Sudbury, who founded the firm, was a serial social entrepreneur who saw the law as a way of serving the public interest and who founded other charities and ventures, including the Citizenship Foundation and the Solicitors’ Pro Bono Group. Andrew acted for the Bishop of Oxford in the court case which became the landmark case on socially responsible investment and paved the way for the development of the industry. Stephen Lloyd, a subsequent senior partner of the firm, came up with the idea of the community interest company, as a way of enabling social entrepreneurs to put benefit to community above profit. Stephen also argued that sustainable development ought to be recognised as a charitable purpose in its own right, which played a critical role in the formation and development of the fair trade movement. There are other senior leaders in the firm who have similarly been driven by a sense of conscience and purpose who have left their mark in their own ways. 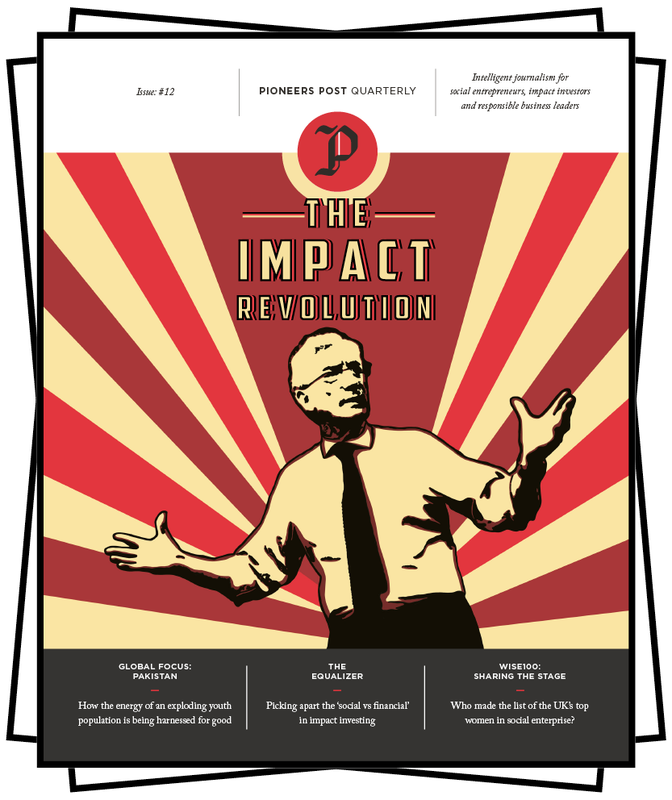 But where, some might ask, does this new impact economy leave traditional charities and social enterprises? Is it an insult to those who have sacrificed more lucrative careers to work with those in greatest need? Will it cannibalise giving and distract from the unique strengths of social enterprises? We see the impact economy as a natural ally to traditional philanthropy and social enterprise. The world’s problems are so big, we need to change the way the whole system works. This is why many of our longstanding charity clients are at the forefront of building this emerging impact economy, whether it be by researching and funding experiments and studies, piloting new approaches to business, incubating social enterprises and mission-led businesses, investing for impact, promoting sustainable development or arguing for changes in key economic, political and social structures in our society. And we see social enterprise as the jewel in the crown of the impact economy. Social enterprises reach people and places other businesses often do not reach. Social enterprises are typically more representative, more diverse, closer to communities and create employment opportunities for vulnerable people. There is also something about social enterprise, perhaps a philanthropic impulse or imperative, which can have truly transformative effects. It is a model of business which holds many of the keys for the rest of the economy, as we try to find a way of working which is sustainable and just, nationally and internationally. At Bates Wells, we want to play our part in accelerating the overall transition of the economy as it is now to the impact economy of the future. This is why we have helped to bring the B Corp movement to these shores and why we’re the only law firm in the UK to be a B Corp. It’s why we made the argument for a statutory power for foundations to do impact investment and why we launched Purposely [the new tool putting purpose at the heart of business – see getpurpose.ly] to help businesses incorporate around purpose. We realise that if we’re going to make any difference, we need to walk the walk, so we’re working on strengthening our own theory of change and impact as a professional firm, which is not something I’m aware of any other firms quite like ours doing. We’re not too sure where this theory of change work will take us – maybe rating the impact of our clients, taking on public interest cases where we think a legal issue needs to be tested, connecting clients who are working on similar impact areas or helping our own people to boost their personal impact in their professional and personal lives. We’ll need to wait and see. Our sense is that what we’re seeing in and through our client base is really the tip of the iceberg and that the impact economy will prove to be the future of business and the economy as a whole. No doubt the transition to the impact economy will be bumpy and turbulent but, given the sustainability and social challenges humanity faces, is there really any other way? Tickets are now available for the ESELA Annual Conference, on The Impact Revolution: The Role of Law and Lawyers, on 12 April in London, with early bird prices available until 7 February. Find out more here.